Rich foam hand cleanser with pink bouquet fragrance. It contains Glycerol for moisture. Available in 5L and 20L. 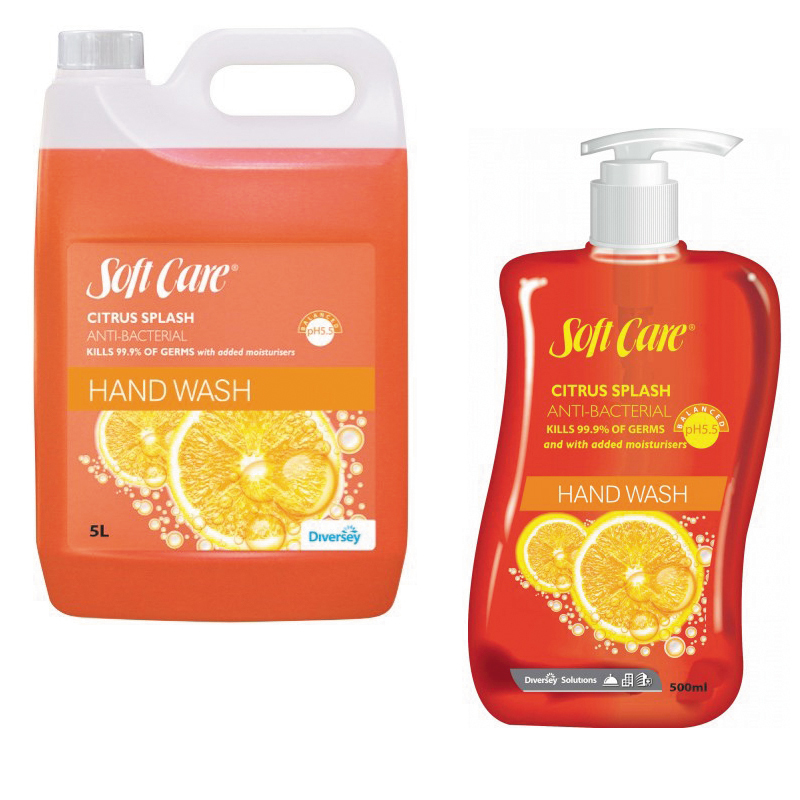 Titan Liquid Hand Soap is a special skin balanced formulation enriched with Vitamin E and natural extracts to gently and thoroughly clean your skin without stripping essential moisture. This hand soap can be a perfect gift. Washing your hands with Titan Liquid Hand Soap leaves your skin immaculately clean, soft, fresh, moisturised and smell so good with its magnolia scent. Non pearlescent. Clear pink in colour. Coconut additives. Suitable for office, light duty factory use. Our premium soap. 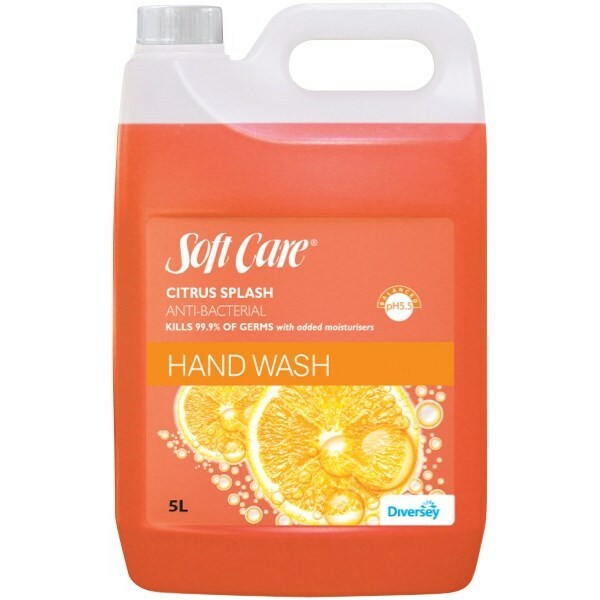 Washing Your Hands with Diversey Soft Care Citrus Splash Anti-Bacterial Hand Wash removes bacteria to help keep your family healthy. 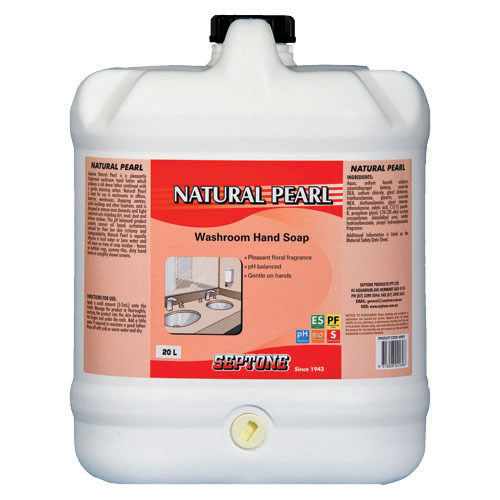 This yypoallergenic & Dermatologically tested -Non Toxic, pH balanced Hand wash is gentle on your skin. It kills 99.9% of Germs and Moisturises. Suitable for use with septic tanks when diluted in normal use. 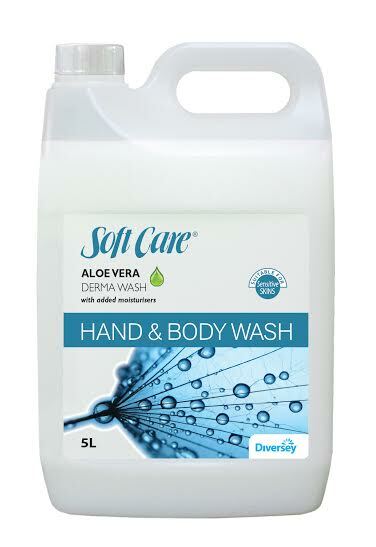 Soft Care Aloe Vera Dermawash specially formulated enriched with vitamin E to gently & thoroughly clean year skin without stripping essential moisture. Suitable for use with septic tanks when diluted in normal use. It can also be used as a body wash. 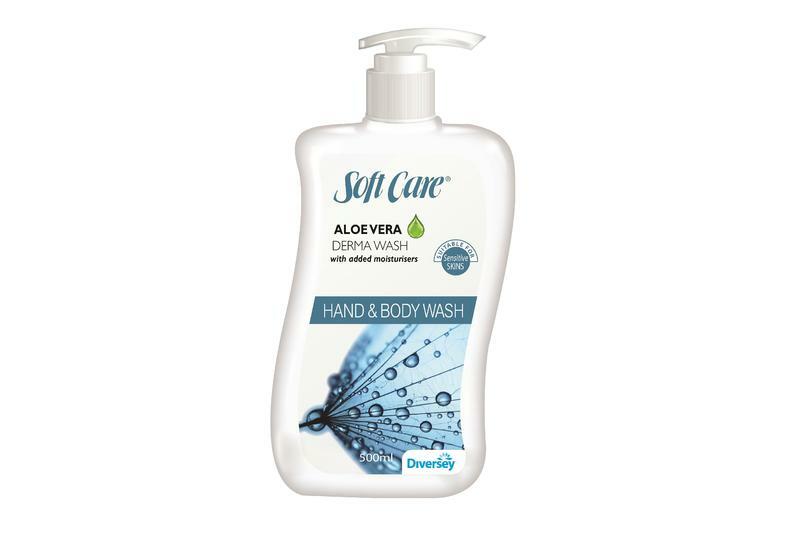 Washing your hands with Soft Care Dermawash Aloe Vera Hand and Body Wash leaves your skin soft, fresh and moisturised. Hypoallergenic & Dermatologically Tested - Non Toxic, pH balanced to be gentle on your skin. "Three products in one" . All over body wash can also be used as a shower gel substitute. Vanilla acts as a natural deodorant while "Medihoney" restores skin. This hand and body wash is suitable for people with sensitive skin that are susceptible to skin irritation and chapping and can be used for domestic or heavy duty commercial applications. Also fantastic for use after food preparation as it removes strong odours caused by garlic, seafood and onions. Available in 500ml with Pump, 5L, and 15L. Protecta Wash is a pleasantly fragranced liquid washroom hand cleanser which produces a rich foamy lather combined with a gentle cleansing action designed to remove most household soils including dirt, mud, dust and kitchen residues. Protecta Wash contains no solvents and no soap and is pH controlled to match that of the skin, so the skin will not dry out like it can with some hand cleaners. 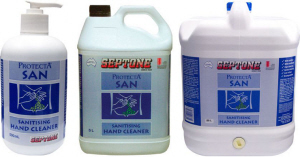 Unlike some hand cleaners, Protecta Wash does not lose its efficiency in hard water, sea water or bore water. Available in 500ml Pump Pack, 5L and 20L. 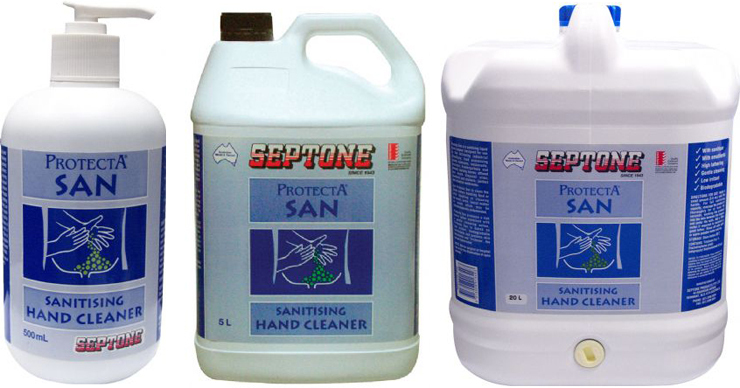 Septone Protecta San is a sanitising antibacterial liquid hand cleaner designed for use in the following industrial situations: food processing plants, canteens, restaurants, kitchens, kindergartens and schools, nursing homes, effluent and waste disposal sites, janitors and industrial washrooms. 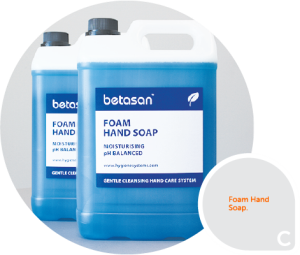 Use Protecta San to clean the hands before handling food or after handling or cleaning up waste which may be microbiologically contaminated. Available in 1L pod, 5L, 500ml Pump. 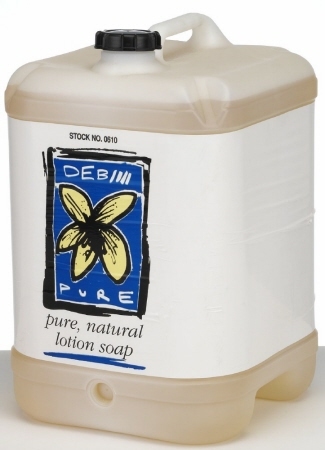 Deb Pure Natural Lotion Soap that is ideal for daily use. It effectively dissolves dirt and grime with a fresh light scent lotion soap with no lingering odour. 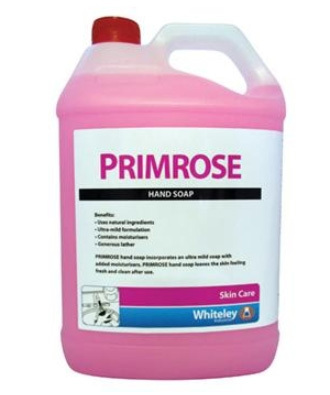 Primorse Hand Soap a very mild cleanser that actively removes soiling and can be used regularly. Combined with a gentle moisturiser that leaves the hands feeling soft and supple and smelling fresh, with a delicate floral fragrance. The added moisturisers negate the drying effects of every day encounters and act to re-moisturise the skin after each use. 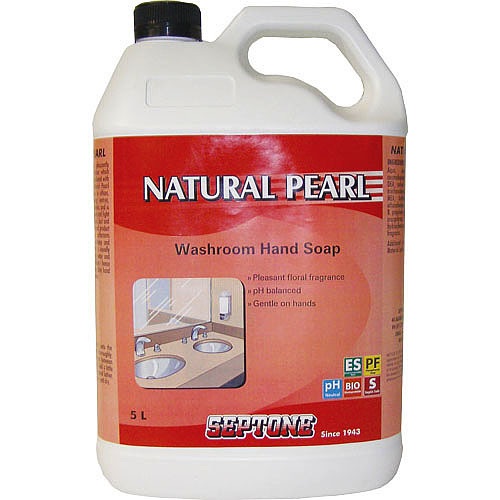 Septone Natural Pearl is a pleasantly fragranced washroom hand lotion which produces a rich foamy lather combined with a gentle cleansing action. 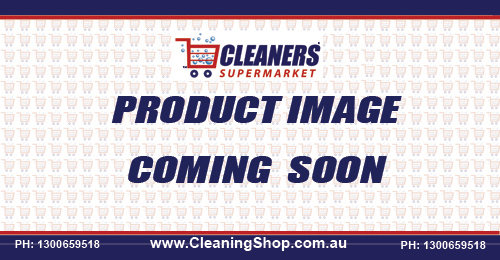 This is perfect for use in washrooms in offices, factories, warehouses, shopping centres, public buildings and other locations, and is designed to remove most domestic and light industrial soils including dirt, mud, dust and kitchen residues. This pH balanced product contains coconut oil based surfactants selected for their low skin irritancy and biodegradability. 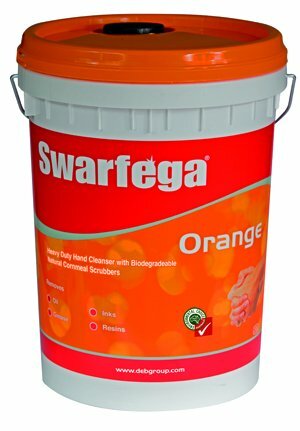 It is equally effective in hard water or bore water and will leave no trace of soap residue - hence no bathtub rings, scummy tiles, dirty hand basins or unsightly shower screens. 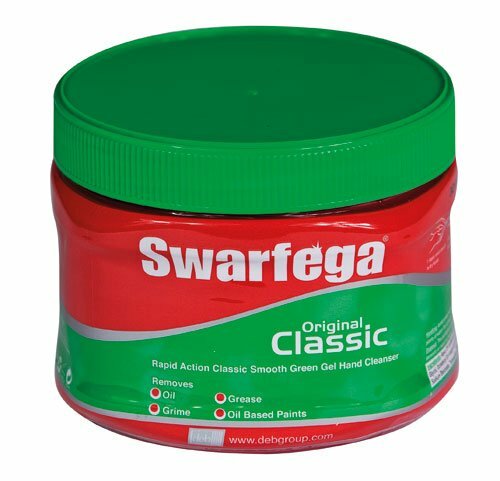 Swarfega Original Classic Rapid Hand Cleaner 'Original' contains the original green gel with conditioner which is easy to apply and quickly removes ingrained oil, grease and many oil based paints, leaving the skin smooth after use. 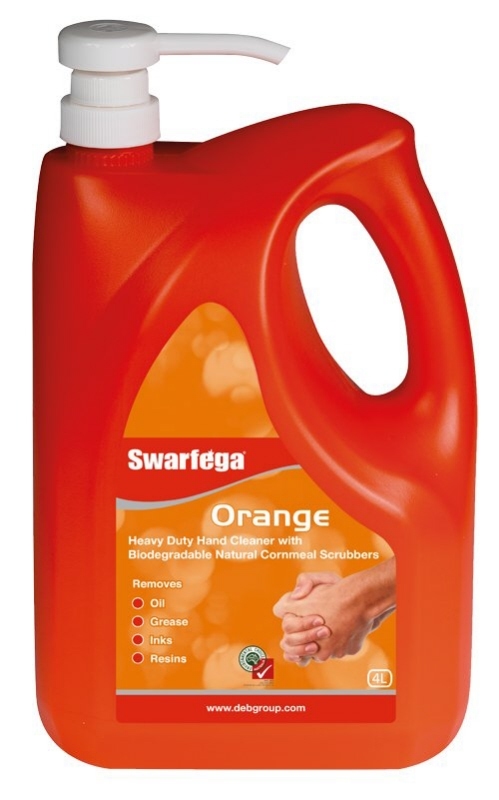 It has 25% more cleaning power, added conditioner with a new fresh odour. 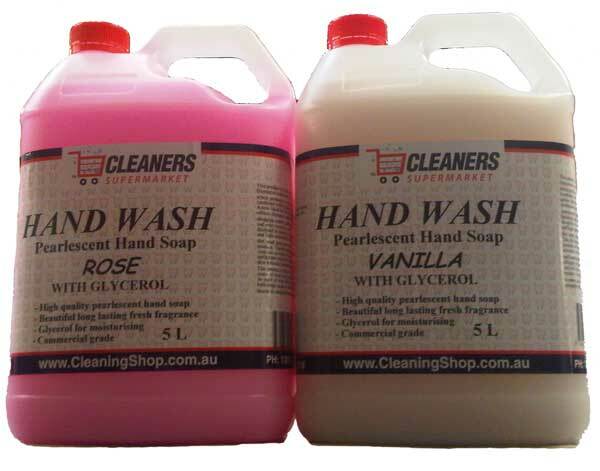 Available in 450ml pump and 500ml pot. 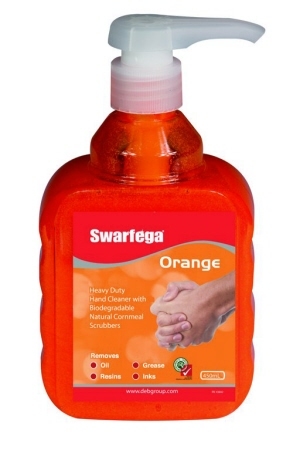 Deb Swarfega Orange Hand Cleaner Advanced formulation, solvent-free heavy duty hand cleanser containing non-abrasive natural cornmeal scrubbers for a deep down cleaning action and moisturiser to help care for skin. 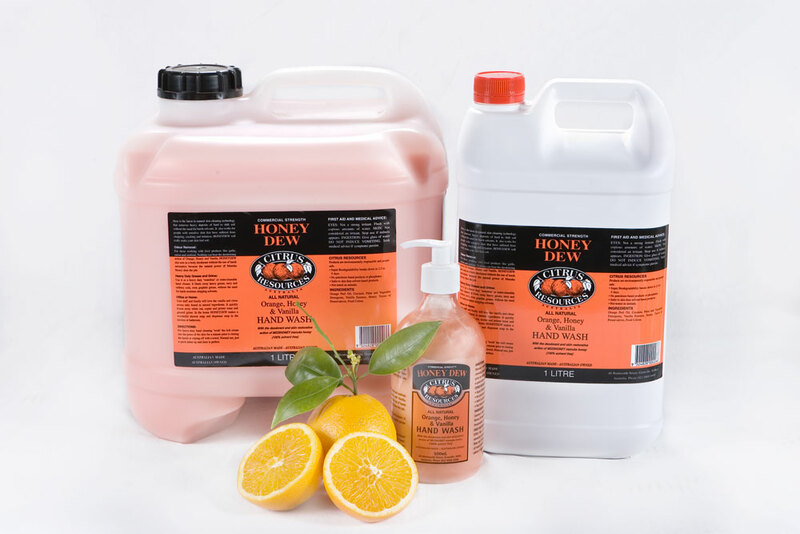 Removes ingrained oil, grease, and general grime. Available in 20kg, and 4L with Pump and 450ml pump bottle. 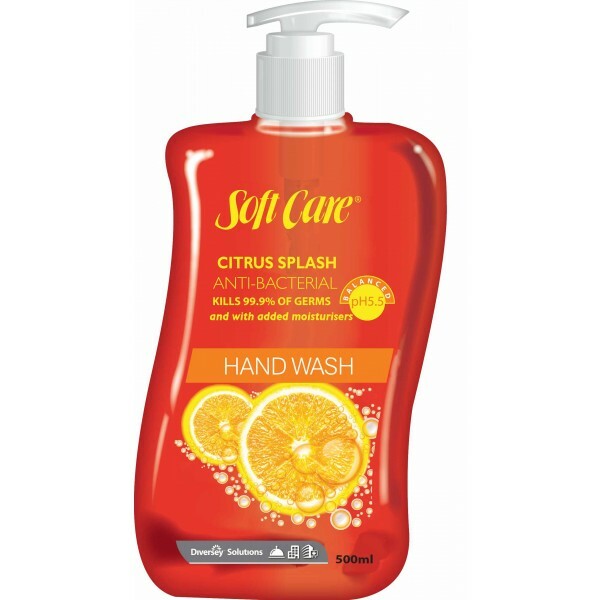 Soft Care Plus Pure is a mild handwashing product with excellent bactericidal properties. The product does not contain perfume, making it also suitable for in the food service area. 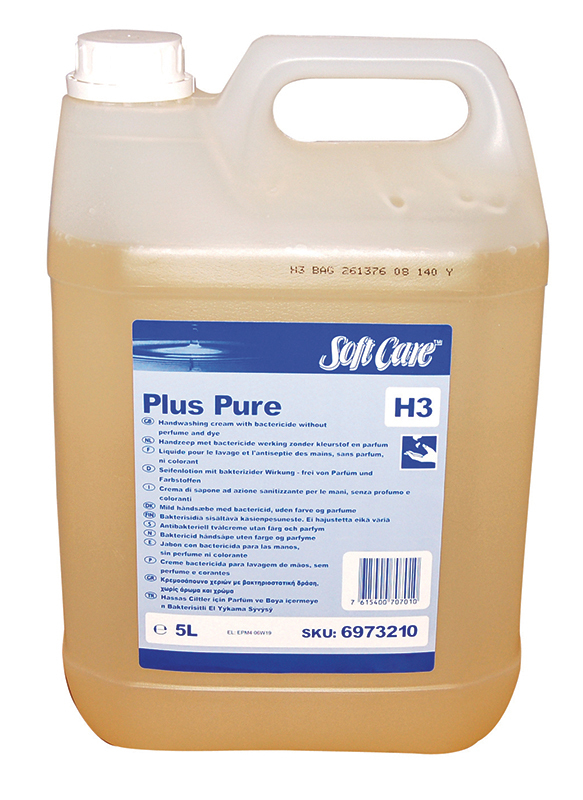 Soft Care Plus Pure is based on a mild surfactant system, bactericidal agent and humectants. 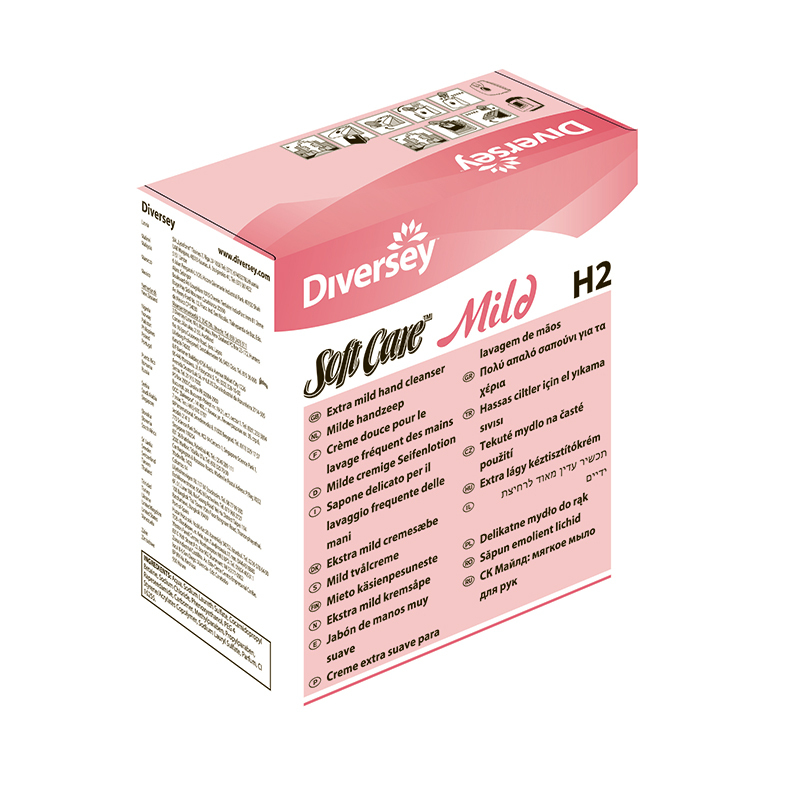 The amphoteric, Polyglucoside, nonionic based mild surfactant system ensures excellent removal of (greasy) soil. 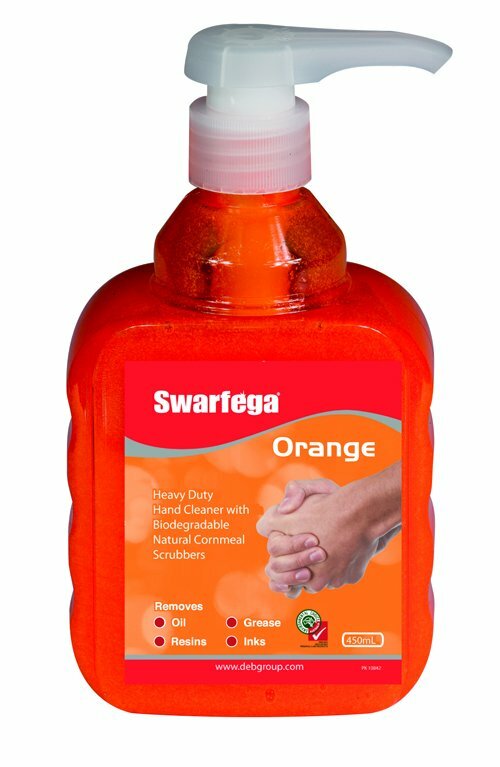 These ingredients are mild on the skin and therefore this product can be applied in areas where frequent handwashing is required. 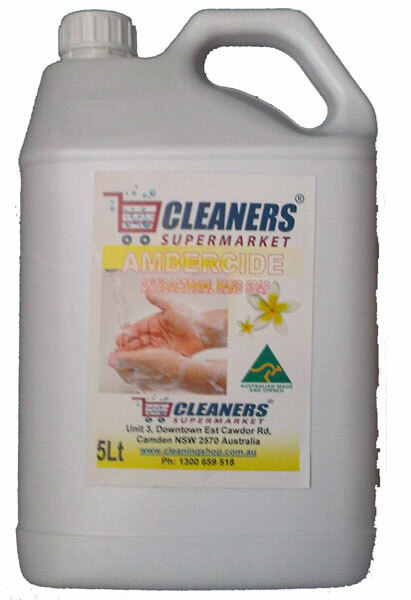 The product has been formulated with Chlorhexidine Digluconate, a good broad range bactericidal agent. This ingredient remains active against bacteria, even after rinsing and drying of the hands. In medical practice Chlorhexidine based formulations are widely used as general disinfectants. 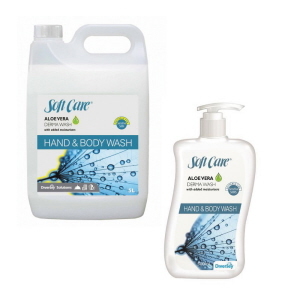 Soft Care Plus Pure does not contain perfume, eliminating the risk of tainting foods and making it suitable for use in the food service area. 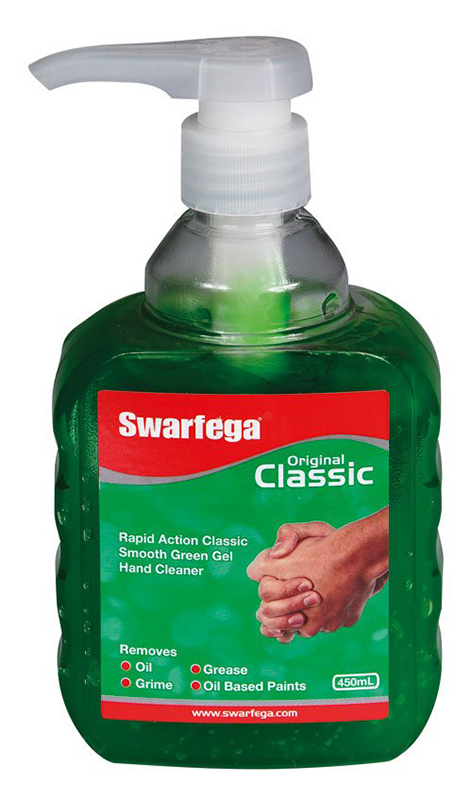 Soft Care Mildly perfumed hand wash liquid soap suitable for use where frequent hand washing is required i.e. hospitals and kitchens. Gentle on skin. To be used with Soft Care Line Dispenser 7514295. Soft Care Fresh perfumed hand washing lotion suitable for washrooms. It is ideal for use in public areas, restaurants, offices and schools. 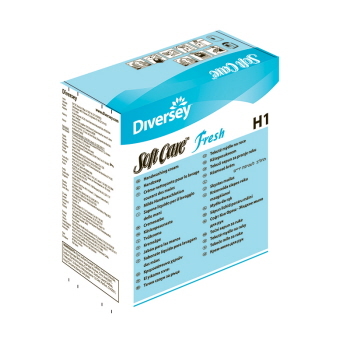 Diversey Soft Care Perfume-free, skin reconditioning cream for softening and moisturizing skin and hands. 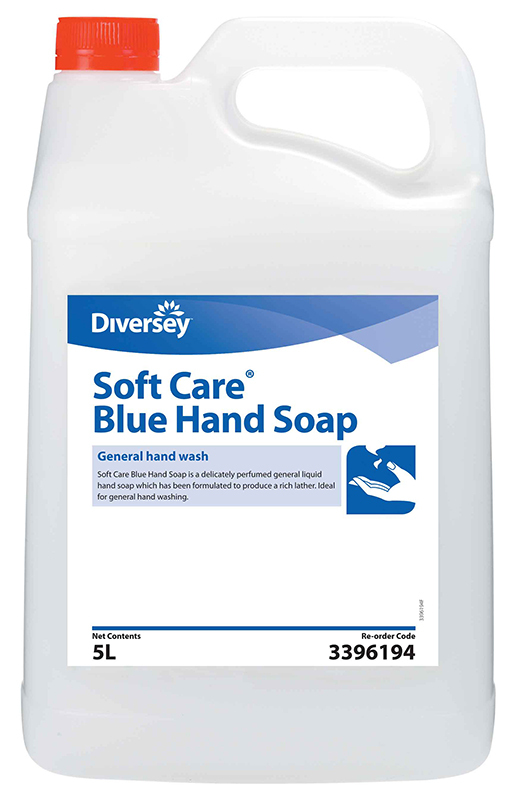 Diversey Soft Care Blue Hand Soap is delicately perfumed, economical hand soap to produce a rich lather, ideal for general hand washing. Diversey Soft Care Food Industry Hand Cleanser is a hand wash that is perfume and dye-free. It is suitable for use in all food processing areas. It effectively emulsifies fatty and greasy soiling without upsetting the natural oil balance of the skin. 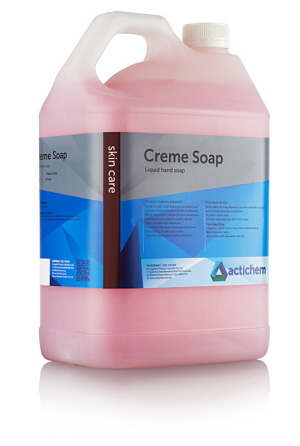 Actichem's AP340 Crème Soap is a pink, lotion hand soap containing gentle cleansing agents, skin emollients and a pleasant fragrance. It is thickened and suited for use through all types of liquid soap dispensers. 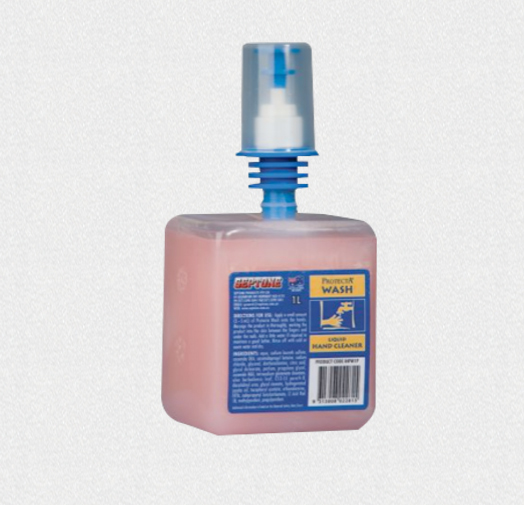 Counteracts blockages of pumps and nozzles. It is ideally suited for use in airports, offices, hotels etc. It is suitable for men and women. It is non-sticky, no after use residue. Is us pH balanced, non-irritant and contains coconut emollients and skin conditioners. Available in 5 and 15 liters. 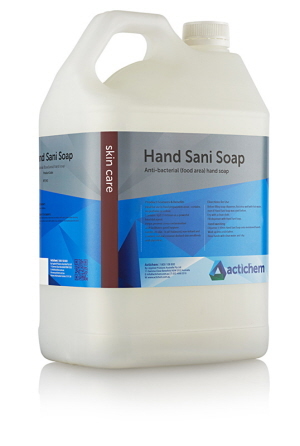 Actichem's Sanpro Blue Hand Soap is a liquid anti-bacterial soap containing gentle cleansing agents, skin emollients and a pleasant fragrance. It is suitable for men and women. It is ideally suited for use in food preparation areas, healthcare facilities, veterinary surgeries, day care centres and medical institutions. 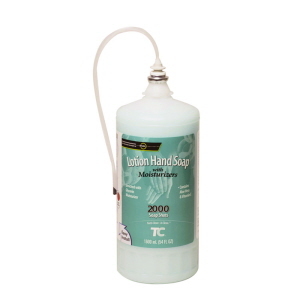 It is suited for use through all types of liquid soap dispensers. it is pH balanced, non-irritant and contains coconut emollients and skin conditioners. 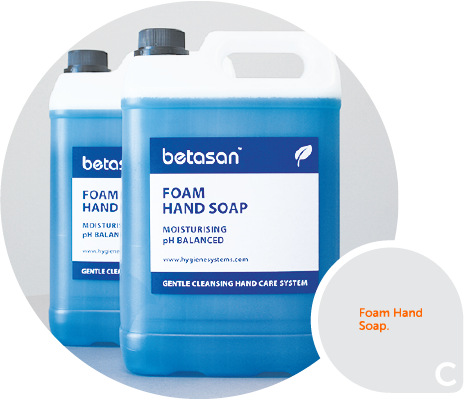 It contains 3g/Lt Irgasan DP300 (Triclosan) as an effective anti-bacteria agent. Available in 5, 15 and 25 liters. Actichem's AP343 Hand Sani Soap is a premium quality hand soap made specifically for use in food preparation areas and medical institutes. Iit is colourless, odourless and contains 3g/Lt Triclosan. 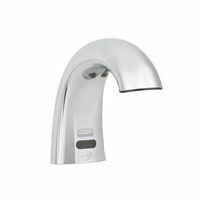 It helps prevent cross-contamination and facilitates good hygiene. Is is available in bulk or disposable dispenser bags. It contains 3g/Lt Triclosan as a powerful biocidal agent. It is ideal for use in food preparation areas - contains no perfume or colour. It is pH balanced, non-irritant and contains natural coconut derived skin emollients and glycerine. Available in 500ml, 5 and15 liters. Moisturising Antibacterial Hand Soap that are mild and gentle on skin which is ideal for sensitive skin. 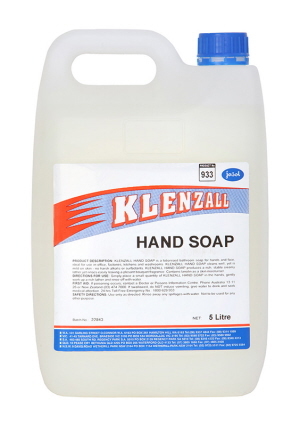 It is specially formulated with Aloe Vera and Vitamin E to protect and moisturise your hands. These hand soaps can kill 99.99% of common germs. The carefully selected ingredients of these soaps ensure that harmful bacteria is removed from hands whilst maintaining your skin’s natural pH balance. Jasol Klenzall economical Bathroom Soap for Hand & Face. Available in 5L and 20L. 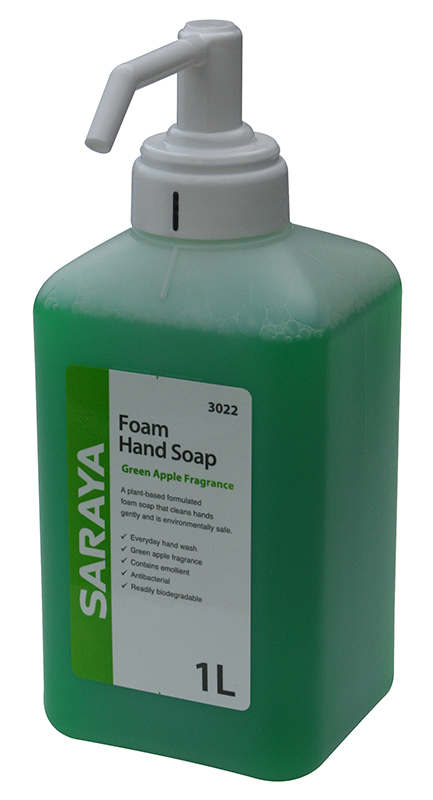 Superior creamy texture,with pleasant lavender fragrance hand soap. Available in 5L and 20L. 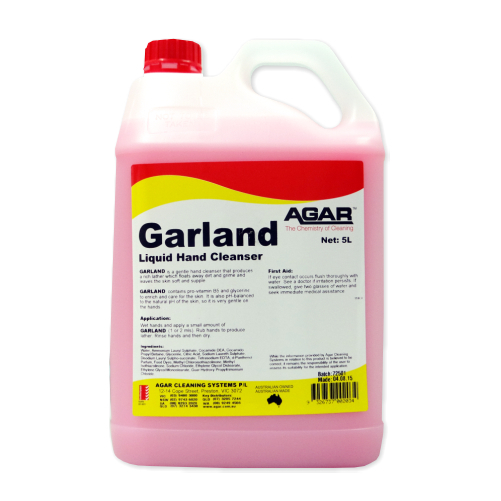 Agar Garland Liquid Hand Cleanser, rich lathering liquid hand soap, with glycerine, provitamin B5 and fragrance which leaves your skin feeling clean, soft and supple. 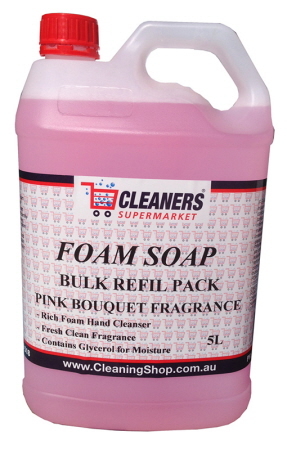 Pink pearl cleanser for use in soap dispensers. Agar Garland is more economical than regular bar soaps. 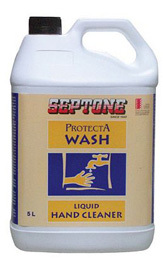 It can be used in washrooms, offices, factories where moderate to light soilage must be wash from the hands.